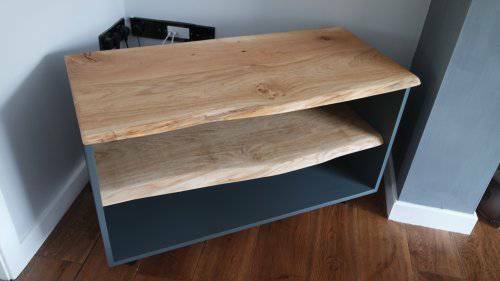 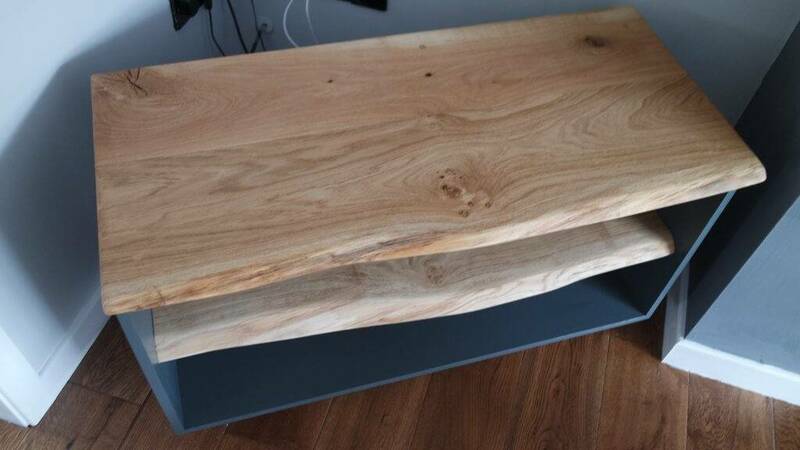 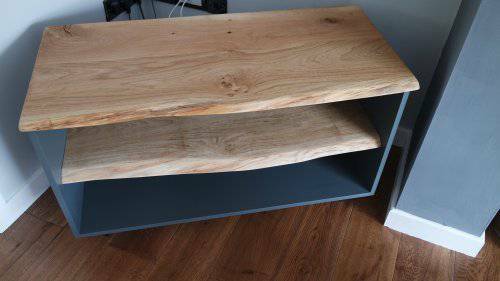 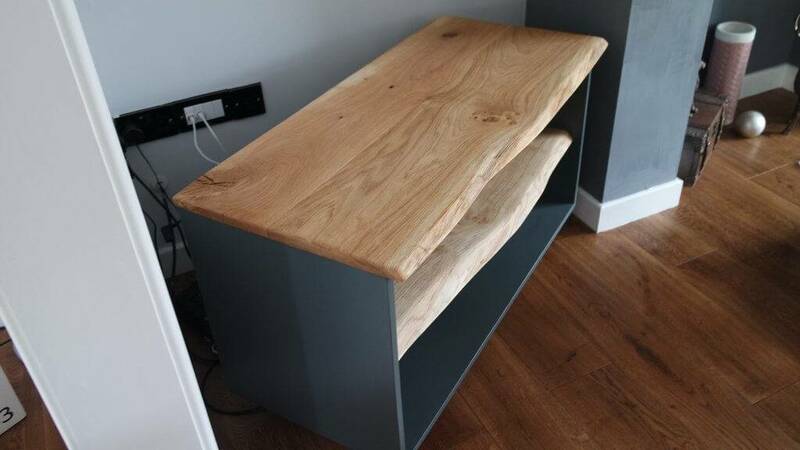 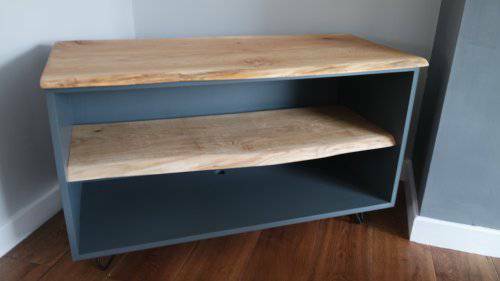 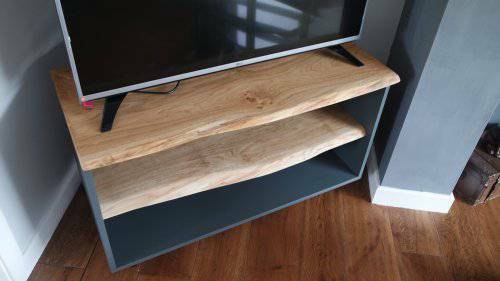 A side project from our day to day work, this made to measure tv cabinet was recently made as a prototype for some future joinery work we have in the pipe line. 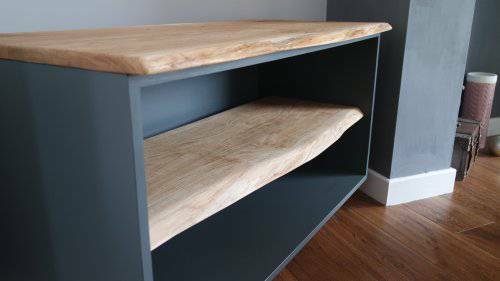 We used 18mm birch ply to construct the main unit of the cabinet and want edge oak for the shelf and top. 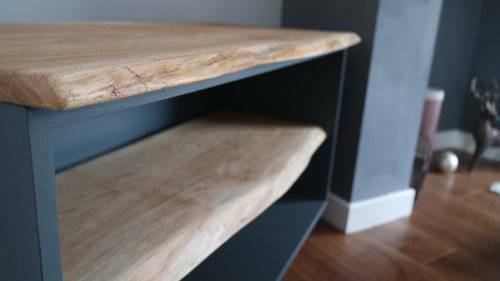 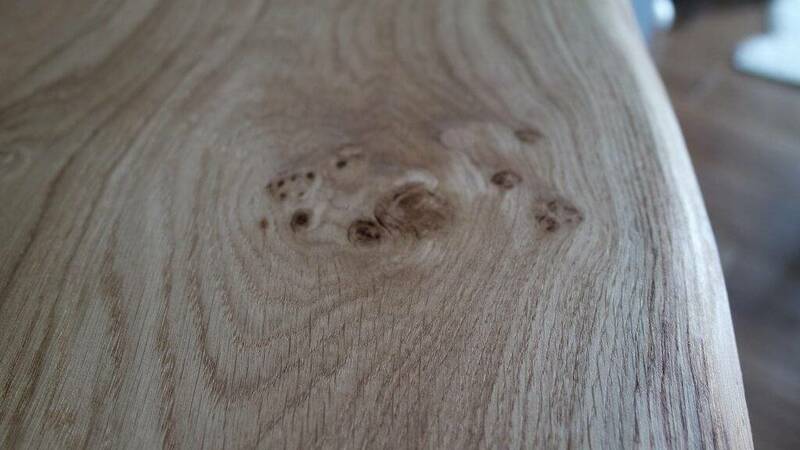 Following the original shape of the wood with the sander and allowing the natural shape to come through we think looks highly attractive. Farrow and ball paint was used once the ply was primed with Downpipe as the chosen colour (Click here to view farrow and balls website, its very nice!). If you would like some furniture commissioning pleas head over to our contact page and let have a chat.